ROKPA: Womens Workshop | ROKPA offers training for impoverished women to become seamstresses with the promise of a job to follow. A fair salary saves them from a life on the streets and enables their children to go to school. 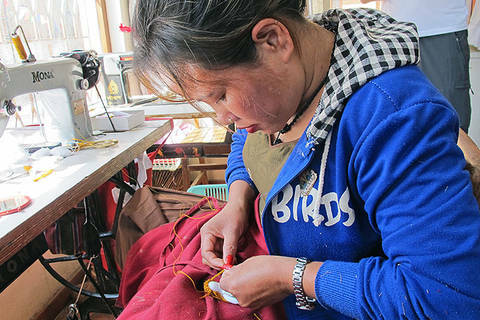 In order to enable impoverished women and their children to have a better opportunity in the future, ROKPA offers training for women to become seamstresses with the promise of a job to follow. A fair salary saves them from a life in the streets and enables their children to go to school. The social position of Nepalese women coming from the lowest stratas of society is marked by dependency and influences the lives of their children. The women are generally married very early. They very often, at an early age, already have several children who have no education prospects for themselves. With the growing number of children, many women are often abandoned by their husbands. Without an education they have little opportunity to earn a living for themselves and their children. This is why they often end up on the streets to beg or take on very poorly paid jobs where they are exploited and have hardly any time to look after their children. With the new building – the Akong Rinpoche Memorial Center – completed in 2018, the Women's Workshop offers now space for 10 employees and 10 apprentices. 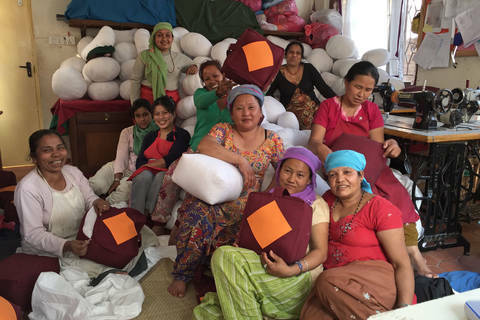 The ROKPA vocational training in the textile sector targets women of the lowest social classes. "I will never be in need again!" Two mothers tell us of how they managed to find courage to live an independent life after arranged marriages and a life governed by violence — thanks to the ROKPA Women's Workshop. 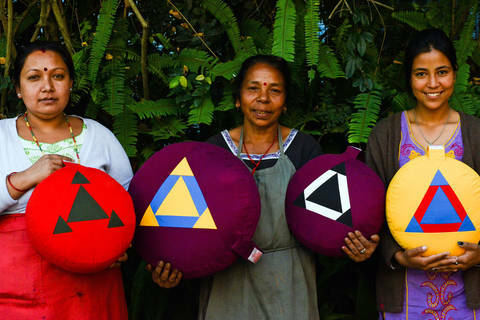 "I was trained as a seamstress as part of the women's workshop, and am now able to provide for myself. I am extremely thankful to ROKPA for this opportunity — I could never have freed myself and my children from a life of misery on my own. Our family was very poor, there was never enough to eat, and no clothing. My parents thought it unnecessary to send me to school. A marriage was arranged for me very early on. It was a good marriage, and I was very happy. When my baby was two months old, my husband suddenly died. My parents-in-law held me responsible for the death of their son, and drove me and my daughter out. 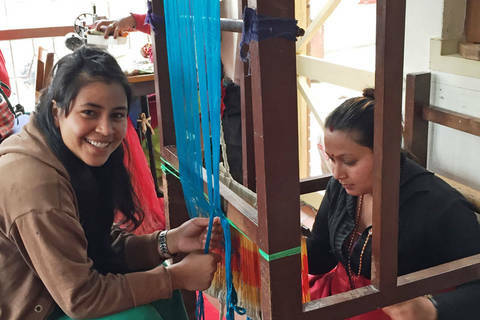 The only thing I knew how to do back then was knotting carpets, so I traveled to Kathmandu. I took my daughter with me to work. She spent the entire day in a dark, dusty room. Because life is especially difficult for a single mother in our society, I saw no other choice but to accept a marriage proposal from a work colleague. Over the next three years, I bore three daughters. However, my husband did not provide for us, and when he took another wife, I left him. I once again started knotting carpets, but did not know what to do about my children. My elder sister had heard about ROKPA, and said that I should ask them for help. Now my children are going to school. ROKPA pays their school fees. As for me, I work in the ROKPA women's workshop. Bit by bit, I am starting to forget the bad memories of my former life." "I was born a deaf-mute at the edge of the Kathmandu Valley. My family lived in a traditional mud-walled house. We were very poor. My father was a tailor — when I was eight he brought me to his shop and taught me his trade. He taught me the only trade I know. Nobody in our village had enough money to send the children to school. My mother died when I was ten years old. My father married another woman before my mother died. That was when everything changed: From then on, I had to work in the house, but my stepmother was never satisfied. She was always scolding me, hitting me, and saying that I might as well leave the house because I was useless. I saw a chance to escape when an early marriage was arranged for me. I was twelve years old, and my husband about fifteen. I had no idea what was going on. My first daughter was born when I was fifteen. I bore my husband four children, but was treated very badly. It was better for me to live alone than with a brutal, violent man. After the divorce, I went to beg in Kathmandu without being able to speak to people — I often felt very lonely because of that. One day I plucked up the courage to go to the ROKPA soup kitchen. I had heard that Mummy Lea (Lea Wyler, co-founder of ROKPA) helped people like me. I took my oldest daughter with me to be able to speak with Mummy Lea. She was taken in by the ROKPA children's home, where she is learning a trade. After that, I was given a job in the women's workshop, and was able to use the skills that my father had taught me. Finally, I was no longer alone - my colleagues became my friends. They found a way to communicate with me. They call me the "Master Seamstress", because - thanks to my father's strict way of teaching - I am able to do what I do extremely well, and am therefore a good and experienced worker. I am proud and happy and have finally found joy in life, even though I have a major disability." 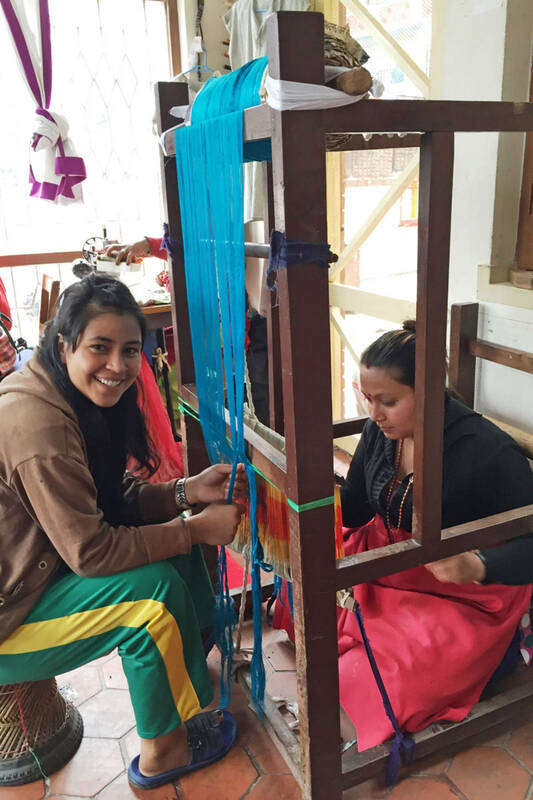 Support the ROKPA Women's Workshop! 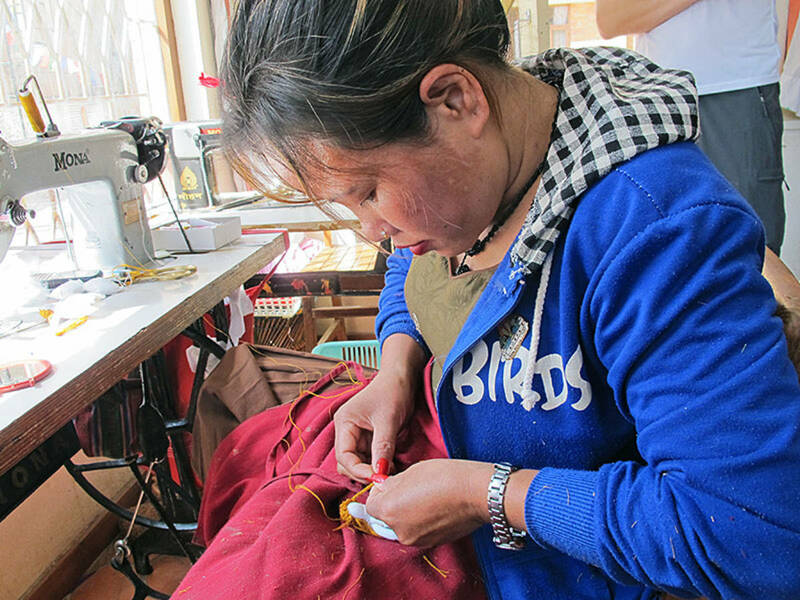 A wage that is enough to live on enables a seamstress to provide for herself and her family, as well as to pay the rent. Contributions toward the cost of materials guarantee constant production. Both ensure job security in the long term. Are You an Entrepreneur and Want to Become a Social Benefactor? On behalf of your enterprise, commission our Women's Workshop with the production of textile accessories and gifts whether fashionable or folkloric. They are made from a choice of fabrics and tailored utilising the best quality materials with the ROKPA seal. We also undertake individually tailored commissions - your own designs and ideas are carried out professionally. For further information please contact us directly by E-Mail info (at) rokpa.org or phone +41 - 44 262 68 88.